With his hat on a rock and his cane in hand, Lehigh’s founder Asa Packer is depicted here as a modest businessman. 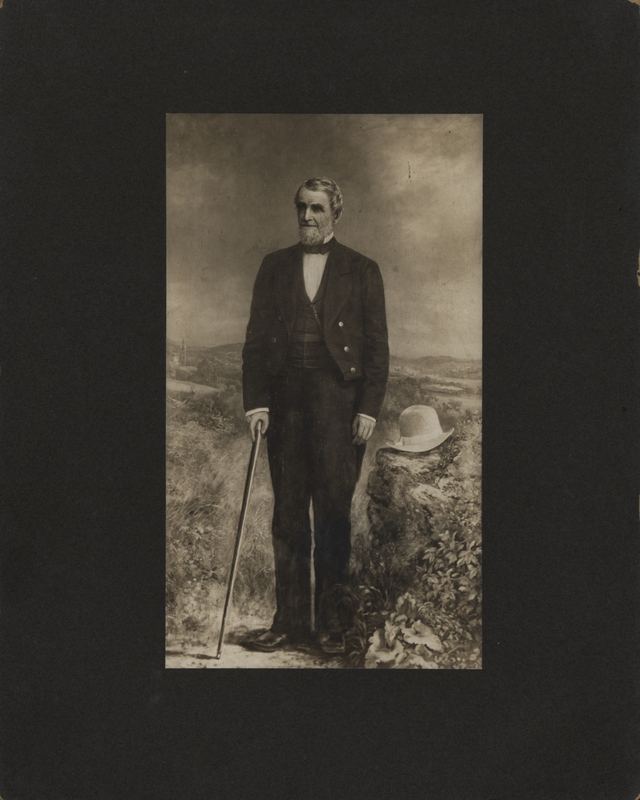 In 1873, when this portrait was painted by DeWitt Clinton Boutelle, Packer was one of the wealthiest men in Pennsylvania, known for providing a “tuition free” education at Lehigh. Today, symbolic Asa Packer canes are presented to high-achieving student leaders at the Founder’s Day ceremonies.